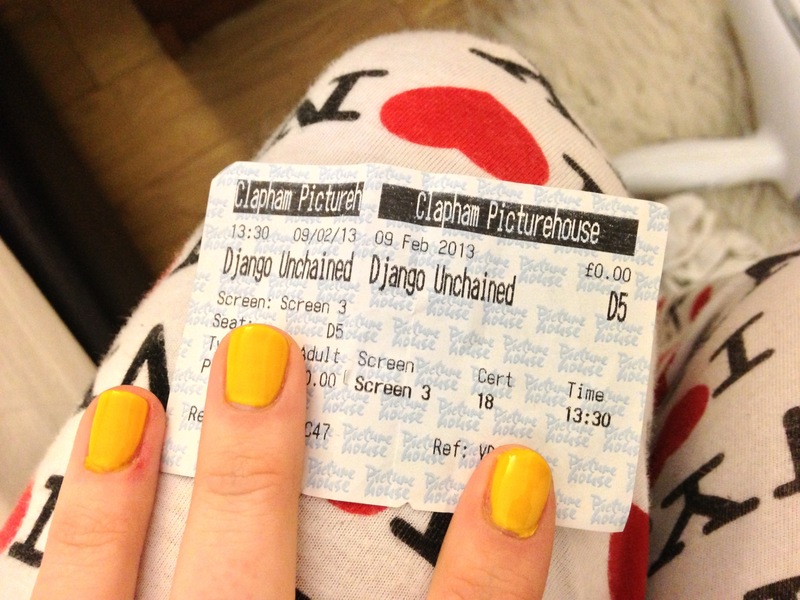 I went to see Django today with some lovely company in Clapham Picture house. The cinema is a independent one, and fantastic! The movie was brilliant too – I already want to see it again! Well recommended. 10/02/2013 – The snow is back!